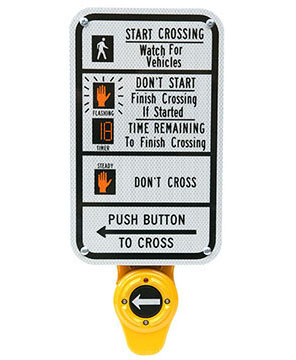 Ped Push Buttons | General Highway Products, Inc.
General Highway Products offers Accessible Pedestrian Signals (APS) and ADA-compliant pedestrian technology and push buttons. The Navigator APS provides state-of-the-art audible and vibro-tactile features for all pedestrian phases, while the BullDog Push Button offers the ultimate in durability and electronic pedestrian technology. With the new Intelligent Navigator the iNavigator is setting the standard for the next generation of Accessible Pedestrian Signals. It incorporates the latest technology in power line communication and wireless communication.